Stoked Roasters sent me a couple bags of coffee beans to try, this Fallstoke blend and a blend called Dawn Patrol. Reading my previous articles you've probably noticed I'm a single origin type of coffee buyer. However, there are times when you want a rich cup of coffee without having to figure out what flavor notes the coffee produces. One of these times is when the temperatures get cooler like the fall, or when you're outside either sipping coffee on the porch or out on a hike. As you can see, Stoked Roasters claims to be the Official Coffee of the Outdoors. I'm a hiker and backpacker, and even on day hikes I take a plastic dripper and some coffee for a treat during the hike. Rich tasting blends are the perfect coffee to enjoy while taking a break or enjoying the view at the top of the mountain! 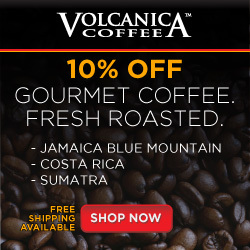 Stoked Roasters is an organic coffee company that focuses on serving the outdoor community. The company is located and founded in Hood River, Oregon during 2014 by Jax Mariash, an extreme athlete who has the goal of providing great tasting premium organic coffee to fellow outdoor athletes and enthusiasts. The Stoked brand is as much about community as it is coffee. Stoked Roasters goal is to provide athletes and outdoor enthusiasts the caffeinated boast they need for any adventure. 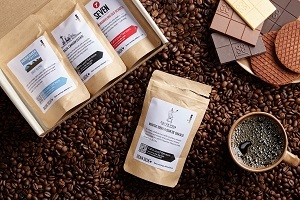 Besides producing coffee, the company is also focused on supporting their enthusiastic drinkers passion-driven lifestyles. They sponsor an elite group of outdoor ambassadors, ranging from extreme athletes to everyday people that are in the outdoors and need to get their days started with a rich sip of coffee. Fallstoke blend is a medium roast with a strong aroma of peanuts when you open the bag. 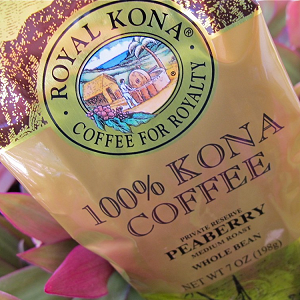 The 100% certified organic beans are evenly roasted and are quite hard and firm for a medium roast. The coffee produced by the Fallstoke blend is full-bodied and very rich with a flavor of milk chocolate. The coffee is very smooth and the aftertaste is enjoyable and not a bit bitter. My favorite brewing method using the Fallstoke beans is with a Cleaver Dripper. A three-in-a-half to four minute steeping of the beans plus the dripping through process increases the richness of the coffee. Using a 15.5 to 16:1 water to coffee ratio makes a great tasting coffee with a nice full-bodied and rich mouth feel with light chocolate flavor notes. I also liked Stoked Roasters Fallstoke blend when brewed with a Hario V60 and Chemex coffee dripper. I used the same 5th grind setting on my Porlex JP-30 coffee bean grinder with all three brewers. If I only had a Hario V60, I'd suggest making the grind a bit finer, down to the 4th or maybe even the 3rd setting. The extra steeping time and more surface area with finer grind would make a better cup of coffee in my opinion with the V60. Roaster Tasting Notes: Medium bodied, rich chocolate and nutty undertones. Stoked Roasters knocked it out of the park with this smooth, rich, and flavorful coffee. 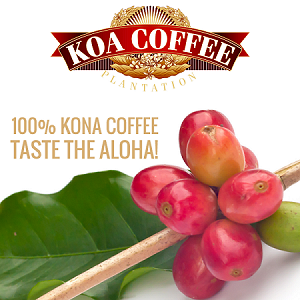 This blended coffee has a peanut aroma that becomes even more intense when ground. The nutty aroma turns into a flavorful coffee with milk chocolate notes. Fallstoke is a versatile coffee that you will find easy to brew to your taste using whatever coffee brewer you have in your kitchen. Have you tried this coffee? Or maybe another coffee from Stoked Roasters? If so leave a comment below so everyone can get more opinions than mine. That's what this website is all about, sharing information that will help all of us make better decisions about the coffee we drink. Share this article with your friends on social media, or tag that one person you know that will find this article interesting. Use the buttons below to share on your favorite social media platform.